We have served some of the nation’s leading corporations and smaller companies consistently for over four decades. 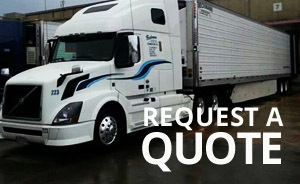 Whether a new or existing customer, we’ll deliver your load with an unwavering commitment to reliable service, safety conscious practices, and customer satisfaction. Beckmann has excelled in the temperature-control market since 1972 with a track record that speaks for itself. Our 53-foot air ride reefers are ready to roll on normal transit and expedited jobs. We provide inbound vendor pickups to distribution centers and plant-to-plant moves. 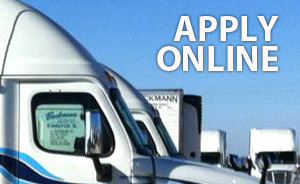 Although frozen and refrigerated moves are our specialty, we can accommodate dry van customers as well. • I-Bright trailer tracking which allows us to monitor temperature, GPS location, fuel levels, and instant download capabilities. BDS can move freight anywhere in the lower 48 states. The Beckmann Distribution Service regional fleet operates primarily in the Midwest while the dedicated fleet currently operates in the Midwest, South, and East. However, our freight lanes are customer specific and we can setup a lane network that coincides with your needs. Together, our asset-based fleets currently travel through 25 states on a weekly basis. Our freight solutions range from the Southwest to the Northeast, and everywhere in between.